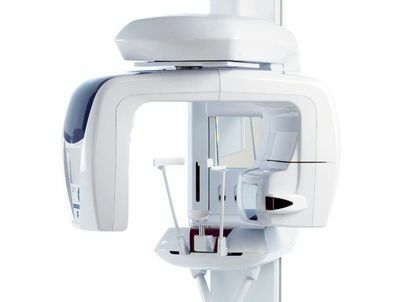 At Parrock Dental, we utilise a wide range of modern dentistry technology to offer patients the very latest treatments. We can offer our services from our office in Gravesend, but also further afield in Northfleet, Dartford, and Kent. 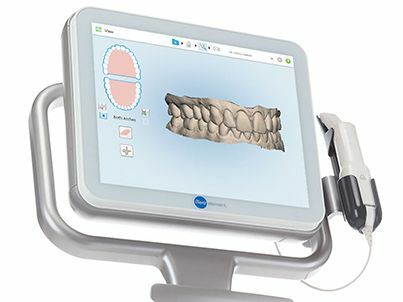 The iTero® Scanner is a state-of-the-art technology that allows us to take digital images (not putty impressions) of the teeth and jaws for planning treatment with Invisalign. CEREC is an advanced digital (in-house) manufacturing technique for single-visit tooth restorations, allowing patients to see results the same day of their treatment. The 3D imaging ability of a CT scan goes beyond the technology of basic x-rays and enables us to determine the health of your teeth, jaw, and mouth in high resolution. CEREC is an advanced digital manufacturing technique for single-visit tooth restorations. Unlike metal fillings that can easily break and attract tooth decay, CEREC uses a biocompatible ceramic material that is not only aesthetically pleasing, it enables our dentist to restore your tooth to its original, strong state. Using CEREC, we can replace metal fillings, fill in cavities, restore broken or decayed teeth, or even create bespoke crowns – all in one visit. The technique works by taking a digital ‘impression’ of your tooth. While you wait, a suitable restoration is designed using advanced 3D computer software. An in-house CEREC Milling Unit will then manufacture your tooth restoration immediately. The benefits of CEREC are clearly evident: we can conduct teeth restorations in a single appointment, you benefit from a natural-looking smile, and the end result is highly durable and long-lasting. The 3D imaging ability of a CT scan goes beyond the technology of basic x-rays and enables our dentists to determine the health of your teeth, jaw, and mouth in high resolution – safely and efficiently. All this can be done from a quick 30-second scan. Our dentist may use a CT scanner to better-plan your treatment. This is especially the case if you are considering dental implants. The technique allows us to see your teeth, sinuses, and nerves in great detail, ensuring a greater success rate and level of safety. It can also help pinpoint the exact location for your implants and establish if you require bone grafting. The whole procedure takes seconds, is pain-free and completely safe. Dental computed tomography scans (CT) typically emit less radiation than medical CT scans. This modern, effective approach ensures we can deliver a first-class, bespoke service to every customer. iTero is the new digital imaging method we use to gain an accurate impression of your teeth. If you are starting orthodontic treatment using Invisalign clear braces, we will commonly use this approach to take a 3D image of your mouth. The dentist will scan your teeth and jaw using a small optical device. The wand-like scanner emits a radiation free laser and generates a digital image in minutes. 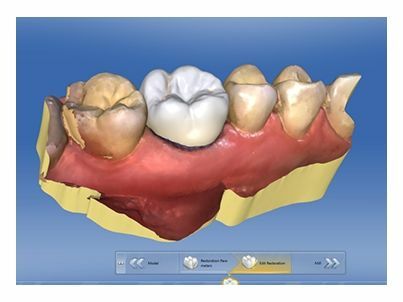 One major benefit of iTero is you can view an instant 3D impression of your teeth on the dentist’s computer screen. This visual aid enables us to explain the treatment plan in great detail at your consultation. While traditional methods involved the use of tray and putty, iTero is quicker and more convenient. This means you will no longer be subjected to tray after tray of sticky goo in your mouth when preparing to have your teeth straightened. The whole process typically takes less than a few minutes and not only helps us explain the various treatment options available, it will leave you more time to enjoy the rest of your day. For more information on the technology we use, or to book a free consultation with our dentist, please contact us for further information.